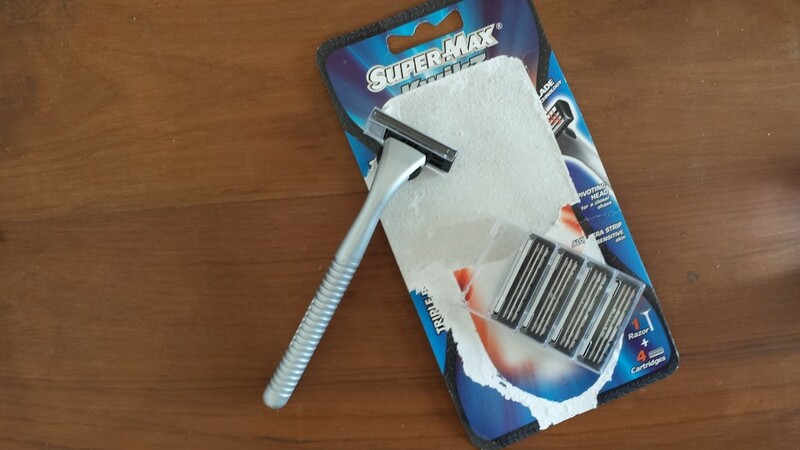 I found myself in need of a new razor and picked up this set of Super-Max Kwik3™ from the local general store. Just a razor with some spare cartridges – nothing special, right? Wrong. It was just as dull as the one attached to the razor. The thing that was supposed to mimic the aloe vera strip found on better razors was in fact just a classy piece of white plastic. There were small bits of hair on the blades. Not long strands, but short bits. Like you get from shaving. And they weren’t mine. Might be that the whole set is second-hand, just rinsed a bit before repackaging. So, nope, I’m not using this. Nope nope nope. Just Gillette™ for me from here on. Now if you’ll excuse me I have to go and dip my face in bleach.